Note: This essay came out of a class on opinion journalism taught this past spring by Clemente Lisi, a journalism professor at The King’s College in New York City. 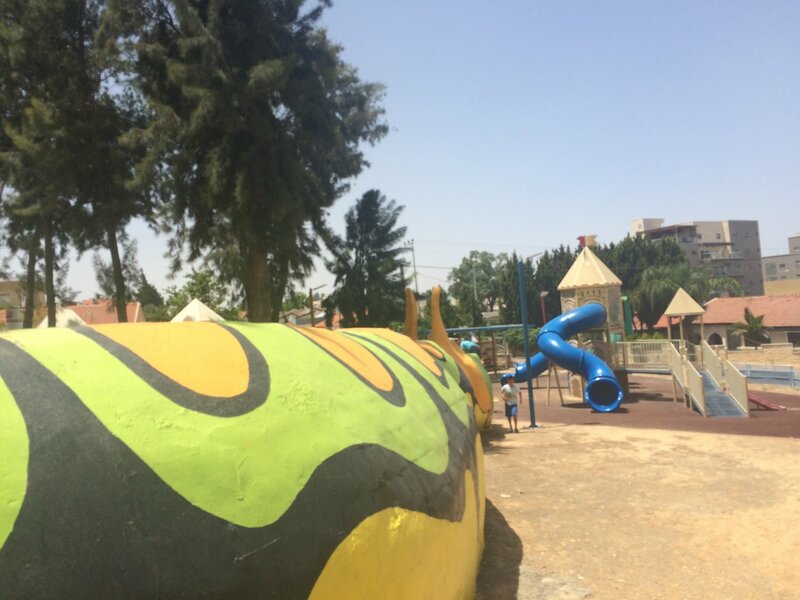 SDEROT, Israel – A cement caterpillar – painted in vibrant green, bright yellow and light black – rests in the center of a playground. The inside of the caterpillar’s body is a hollow tunnel, where children dart in and out, playing hide and seek. Surrounded by a swing set and slide, this playground appears normal at first glance. Then a blaring siren pierces the humid summer air. Terror grips the heart of a mother of three, who is sitting on a nearby bench. Her children – ages two and three – play on the swing set and in the sandpit at opposite ends of the playground. Ten seconds. In just ten seconds, a missile – packed with lethal explosive force – will bulldoze everything in its path. She just has five seconds to run and grab her two-year-old playing in the sandpit… another six seconds to scoop up her three-year-old who can’t react fast enough to get herself to safety… and another six seconds to run with both of children into the safety of the bomb-proof caterpillar tunnel. Seven seconds short — she won’t have the chance to save both toddlers. This is the dilemma mothers living along the Gaza Strip could face at any moment. Chen Kotler Abrahams, a middle-aged Israeli woman with tan skin, deep brown eyes and black hair, stands on the grass inside her kibbutz, a tightly-knit independent communal living space in Sderot, Israel. Abrahams has lived in the kibbutz, located along the Gaza Strip, her entire life —nearly 50 years. She has raised a son, now a teenager in community of a few hundred people, in that time. “Ask me anything you want, my personal story is open to you,” she says. Like 75 percent of the children living in the kibbutz, Abrahams’s son suffers from Post-Traumatic Stress Disorder due to the constant reality and accompanying anxiety of not knowing when the red alert — a blaring siren giving a 10-second notice that a rocket launched by Hamas fighters, Palestinian Sunni-Islamic fundamentalists — will make landfall, destroying everything in its path. The sectarian conflict reached a boiling point in the summer of 2014, when three Jewish boys were kidnapped and killed by Palestinian Arabs living in Gaza and the West Bank. 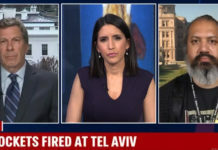 At the same time, Hamas fighters launched a series of rocket attacks on the Israeli communities living along the Gaza Strip. 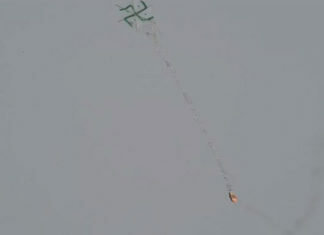 In response, the Israel Defense Force launched a counterattack on the Palestinian territories, starting an onslaught of missile, rocket and bomb attacks between the two people. The United Nations says over 2,000 people have been killed as part of the Israel-Gaza conflict. The shores of the beaches of Palestine less than a mile away are visible from inside the kibbutz. A sense of anxiety is in the air, even though everything looks presently peaceful from inside the compound’s double chain link-layered fence, protected with an additional circles of barbed wire attached to its top rings. Kibbutz’s are independent communities, meaning its inhabitants work together in an almost socialist fashion. Each member is assigned a specific task, which they complete on behalf of the entire community, like being a shop manager or brick layer. About 100 buildings, from homes to stores and even a school, are arranged in a campus-like setting on a few hundred acres. The elementary school bears external signs of the raging conflict between Jews and Muslims in this part of the world. 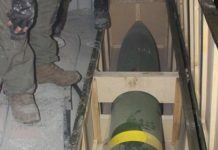 Thick, off-white putty covers the six to 20-inch shrapnel holes inflicted from the intense and frequent explosions of the 2014 Gaza conflict. Fortified concrete bomb shelters surround the open areas of the community, approximately 30 feet apart. Most of the community buildings and homes have bomb proofed rooms inside, created after the 2014 attacks. The children are trained, as toddlers, to run to the nearest fortified areas as soon as they hear the red alert. If they cannot make it in time, their lives could be over instantly. There is no way to predict exactly where the rocket will make landfall. Many community members have watched a friend or family member not make it in time and be killed as a result. As a part of their elementary education, children play a game called “Red Alert” where they move playing pieces around spaces on the board. In this twisted board game, the spaces represent the number of seconds it takes to get to various safe spaces, like a bomb-proofed house or the school. If they do not get to the sheltered area in the right amount of spaces, they lose the game. The sad truth is that this is not a just game. Educators are training their children how to stay alive in real life — the game is just a light-hearted training exercise. 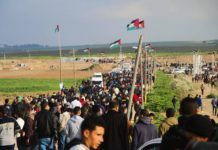 Another sad reality is that the Palestinian people living on the other side of the Gaza border experience similar trauma from Israel’s retaliatory strikes. 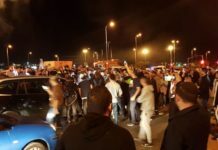 Most of the civilians living in Sderot and the surrounding Israeli communities have lived in the area their entire lives – and they don’t plan on leaving anytime soon.